Just a few years ago, there was no physician in all of Achham, an isolated and remote part of northwestern Nepal, home to 250,000 people. Achham is one of the poorest areas in South Asia with some of the world's highest mortality rates, particularly among women and children. Today, Achham hosts a community health center that's becoming a model of sustainable healthcare for destitute regions worldwide. The story starts with Nyaya Health, an initiative founded to develop healthcare in rural Nepal and to extend its expertise to other parts of the world affected by poverty, isolation, war and neglect. Nyaya built a health center in Achham in 2008 and joined with the Nepali Ministry of Health to open the Bayalpata Hospital in 2009. All medical care is provided free of charge, and Nyaya employs all-Nepali staff who are supervised and trained by volunteer public health experts from Nepal and the U.S. In this season of giving, we're asking the Daily Grommet community to support Nyaya. Your contributions will go a long way. For instance, $25 will treat 10 children for pneumonia, $100 will provide a life-saving cesarean section, and $500 will purchase telemedicine equipment for mobile health workers to treat 2,000 people. Your entire donation will go directly to medical training, delivery and service, and you'll be able to see how the money is spent, since transparency is a critical part of Nyaya's charter. 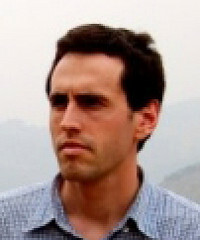 "To ensure that our operations are transparent, and that our experiences can be shared with organizations around the world, we have developed a completely open-source model in which we share our protocols, line-by-line expenditures and program data online," says Jason Andrews, who's the co-founder of Nyaya and a medical doctor affiliated with Massachusetts General Hospital and Harvard Medical School. This means each gift not only helps expand Nyaya's work in Achham, but also contributes to a bigger effort to make Achham's success repeatable around the world. Hi everyone! We're honored to be featured as today's Grommet and would love to speak with all of you about our work! 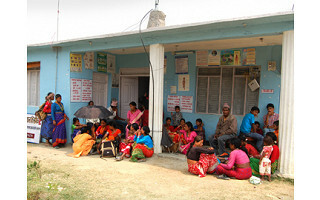 Nyaya began working in Nepal in response to learning about the huge disparity in access to health care in the country. Now, 5 years later, we are working in direct collaboration with the government to develop a health system in the rural west of the country and get people the health care services they deserve. We're around all day and happy to answer any questions you've got! Thank you for sharing. How can we help? @Linda Engman: Thank you so much for your support! The two most important things you can do are to donate to organizations doing good work and to spread the word about this work! Access to health care is a problem all over the world, from the United States to Nepal and everywhere in between. Nyaya is committed to advocating for enhanced health access all over the world and we would greatly appreciate your support! Wow. Thank you for all you do. And so few dollars go such a long way in helping the neediest of people. Just a few years ago, there was no physician in all of Achham, an isolated and remote part of northwestern Nepal, home to 250,000 people. Achham is one of the poorest areas in South Asia with some of the world's highest mortality rates, particularly among women and children. Today, Achham hosts a community health center that's becoming a model of sustainable healthcare for destitute regions worldwide. The story starts with Nyaya Health, an initiative founded to develop healthcare in rural Nepal and to extend its expertise to other parts of the world affected by poverty, isolation, war and neglect. Nyaya built a health center in Achham in 2008 and joined with the Nepali Ministry of Health to open the Bayalpata Hospital in 2009. 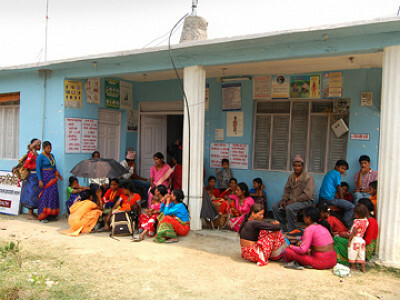 All medical care is provided free of charge, and Nyaya employs all-Nepali staff who are supervised and trained by volunteer public health experts from Nepal and the U.S. In this season of giving, we're asking the Daily Grommet community to support Nyaya. Your contributions will go a long way. For instance, $25 will treat 10 children for pneumonia, $100 will provide a life-saving cesarean section, and $500 will purchase telemedicine equipment for mobile health workers to treat 2,000 people. Your entire donation will go directly to medical training, delivery and service, and you'll be able to see how the money is spent, since transparency is a critical part of Nyaya's charter. "To ensure that our operations are transparent, and that our experiences can be shared with organizations around the world, we have developed a completely open-source model in which we share our protocols, line-by-line expenditures and program data online," says Jason Andrews, who's the co-founder of Nyaya and a medical doctor affiliated with Massachusetts General Hospital and Harvard Medical School.